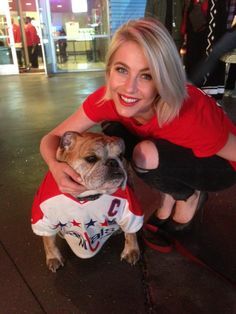 As many regular Washington Capitals fans would know it was not once uncommon for there to be a Bulldog wearing a custom fitted #8 jersey on the bricks of the Verizon Center for some home games. Many visiting fans would think that is strange and why are all these people getting pictures with a dog. Well he is not just a dog; he is Ovie the Bulldog, a beloved part of the Washington Capitals fan base and community. Ovie and his owners Mike and Kim Robertson now live in sunny San Diego, California but that does not slow down their love for Caps hockey and spreading the word. They watch all the games at home and Ovie is always wearing his Great 8 jersey everywhere he goes. Ovie is well known in the locker room and even has pics with Capitals plays and even some great. He just doesn’t wear his jersey and cheer on the Capitals, he is also involved with many charitable organizations such as Dogs on Deployment. Dogs on Deployment is a non-profit organization that helps military families find a volunteer family that will help board their dog while they are on deployment. Ovie has been very involved with the DC Chapter of Dogs on Deployment and even with their help he was able to go inside the Verizon Center for an actual game. This little Bulldog is not only popular to Caps fans; he is getting attention from all fans in the NHL and is appreciated by many on Twitter and Facebook with his cuteness and updates on how things are going on the West Coast. 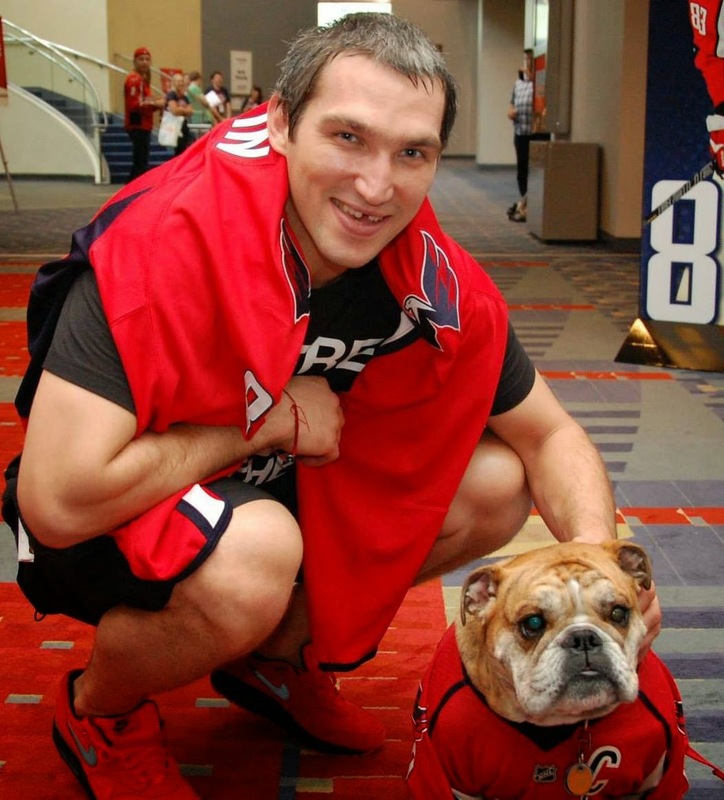 Now as many fans know this season the Capitals hosted the 2015 NHL Winter Classic and everyone knew one way or another a Bulldog by the name of Ovie would not miss it. This little Bulldog will continue to cheer from the West Coast for the Caps and will still continue to grow his list of friends throughout the NHL. For fans like myself that are not fans of the Caps Ovie and his owners are the type of people that every team wishes they had in there fan base!